I have to say that other than a hurricane, this autumn has been beautiful with many warm, sunny days! When Jeanette and I scheduled her engagement shoot a couple months back, we had no idea what mid-November would be like but thankfully, it was a beautiful day with some trees still hanging on to those pretty leaves! I always love getting to meet and interact with new clients and these two were no excpetion. "We met two years ago in a little resturant/bar. I was out with my friends for a girlfriends birthday and I spotted Joe from across the room. I pointed to Joe and told my friend "he's going to be my next boyfriend". Apparently that night Joe called "dibs" on me to his buddies, which according to guy slang is he basically says the girl is off limits to everyone but him. I eventually got the nerve to ask Joe what his name was when he passed me, we talked for a brief moment and then he actually left to buy me a chocolate covered strawberry. That night I gave him my phone number and we have talked/been together ever since." Great right?! 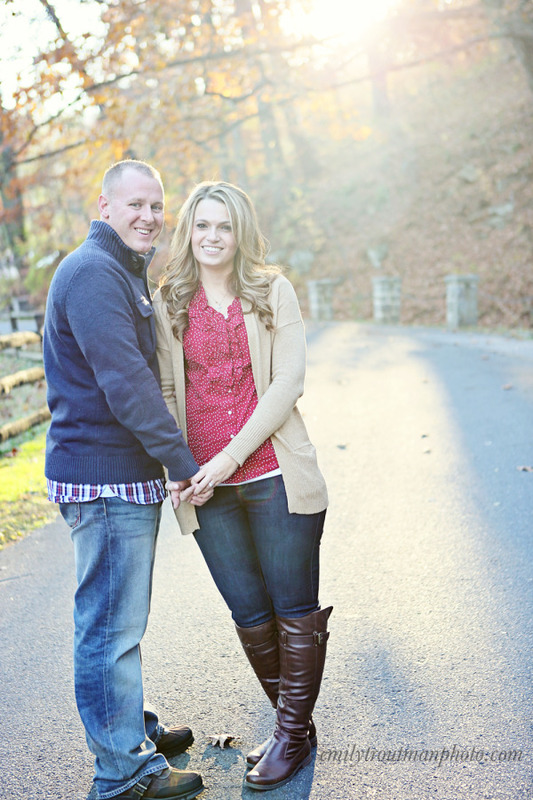 Love hearing these stories and being able to capture a couple's engagement time.